Character-Culture-Citizenship Guides 9 - Give. This is one of the two Character-Culture-Citizenship Guides that started the whole obsession. 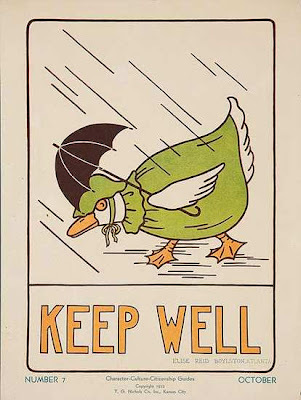 Here's the Character-Culture-Citizenship Guides 7 - Keep well. 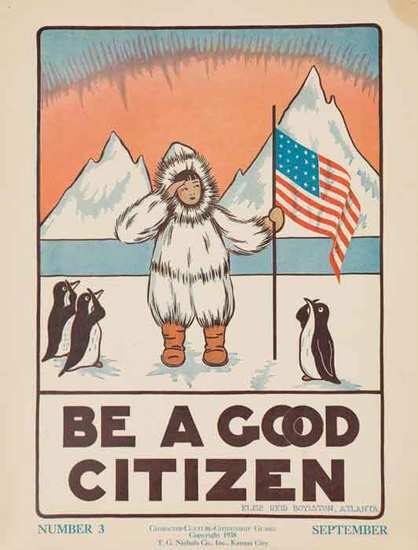 The copyright on the Character-Culture-Citizenship Guides posters is interesting. Most people say the copyright is 1936, I think because that the year that was quoted for the posters on the Antiques Roadshow. But there are actually multiple copyright dates on the Character-Culture-Citizenship Guides, from 1932 to 1939 - and maybe even into the '40s. The copyright can be seen pretty easily on most posters, right under the "Character-Culture-Citizenship Guides" title. I've seen 1932, 1936, 1937, 1938 and 1939. It's not out of the question that the posters were printed every year since they were teaching tools, but the above years are the only ones I've actually seen. There are also Character-Culture-Citizenship Guides without a copyright date on them. I believe these were printed after the dated versions (for reasons I'll go into when we get to number 13), so into the '40s. 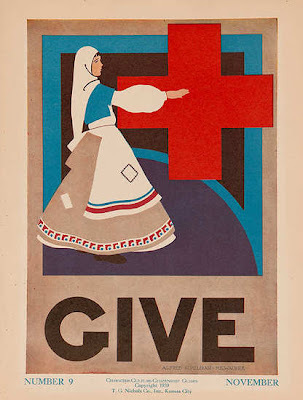 I've heard that they were printed till 1943, but without dates on the posters to verify, it's hard to say for sure. 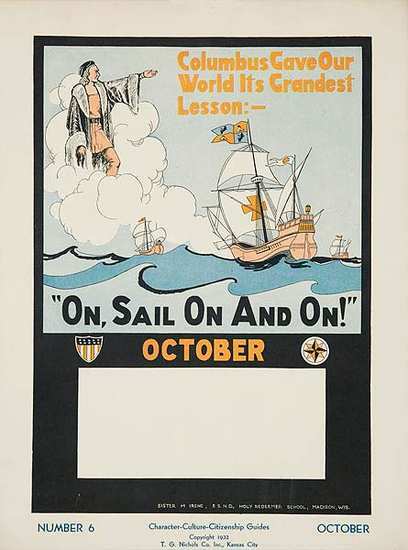 Here's the Character-Culture-Citizenship Guides 6 - Columbus Gave Our World Its Grandest Lesson: "On, sail on and on!" Some of the Character-Culture-Citizenship Guides (like this one) have a blank section on the bottom that, I believe, was intended for a calendar. On a few used versions, that's what I've seen drawn in that space. 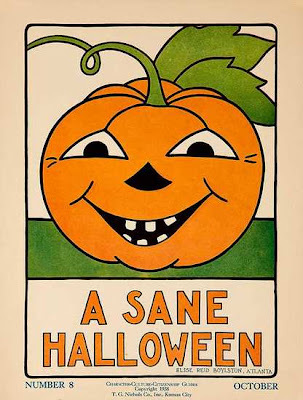 And the "October" title above the box would indicate that was its intended purpose too. 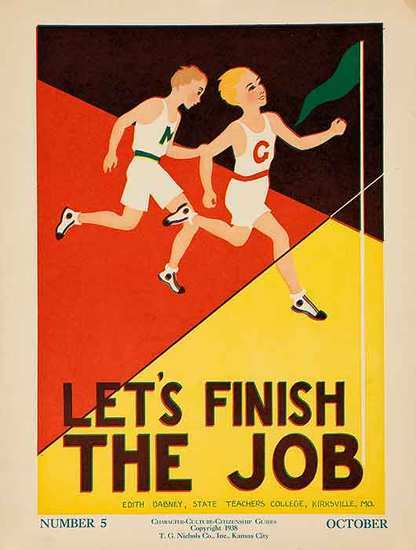 Character-Culture-Citizenship Guides 5 - Let's finish the job. It has a bit of an olympic feel to it. Here's the Character-Culture-Citizenship Guides 4 - Be a Good Loser. I noticed that some of the Character-Culture-Citizenship Guides have names, towns and states on them. It appears that the artwork was actually done by teachers from around the country. While tracking down all 36 of the Character-Culture-Citizenship Guides I happened upon the birth and death records of Thomas G. Nichols, founder/owner/president of the T.G. 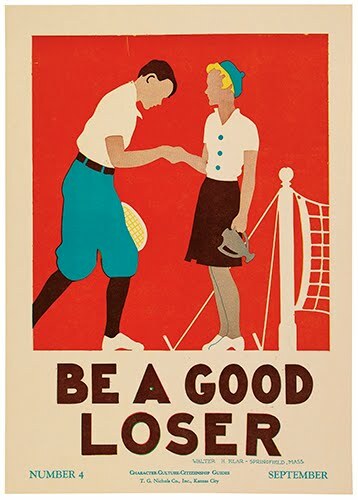 Nichols Company, Inc. - the makers of the Character-Culture-Citizenship Guides posters. Thomas G. Nichols, was the son of John William Nichols & Mahalia Hendricks. He married Laura M. Stephens. He was the President of T.G. Publishing Company. Thomas' cause of death is listed as Coronary Occlusion. Mrs. Laura M. Nichols, of 431 Ward Parkway, Kansas City, Mo., is listed as the informant on Missouri Death Certificate #33434. Burial took place on 24 Sep 1955. While tracking down all of the Character-Culture-Citizenship Guides posters, I've found out a little more information about the T.G. Nichols Company, Inc. - the company behind the posters. It seems they were mainly a book publishing company and mainly (perhaps exclusively) printed textbooks. Which makes sense since the Character-Culture-Citizenship Guides posters were intended for the classroom. 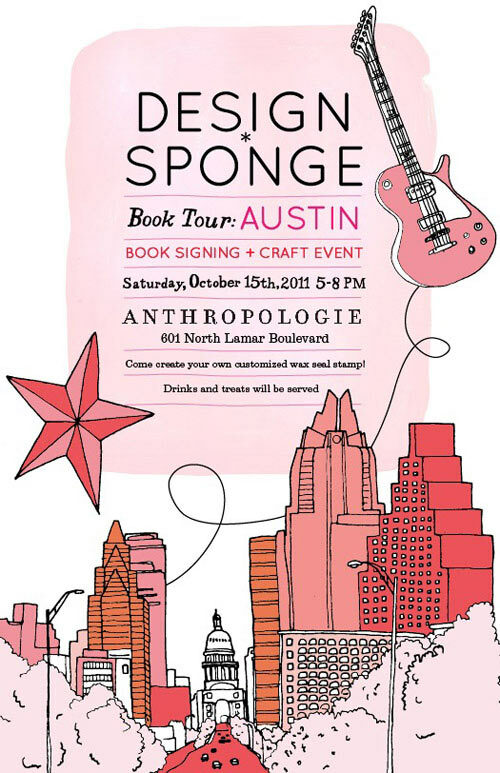 Tomorrow is the first ever Austin Design Riot. 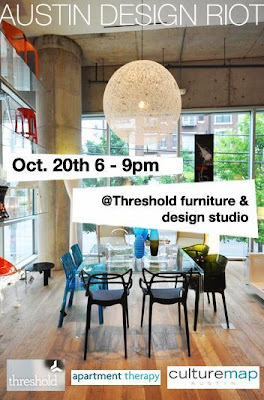 An Austin x Design sponsored event, this will be a celebration of all the rockin' architecture, interior design and creative folks in the Austin design community, hosted by the international online design website Apartment Therapy, Austin's own awesome website CultureMap and the amazing design store Threshold Furniture & Design Studio! 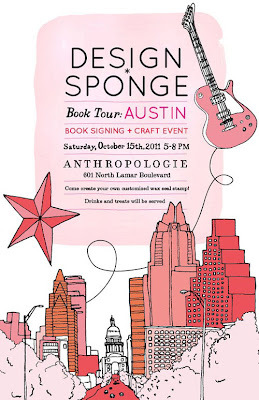 Speakers, free drinks, giveaways, Austin design secrets, scavenger hunts and more! After being given a couple of Character-Culture-Citizenship Guides, I want to see them all. I love the illustrations and designs on them. 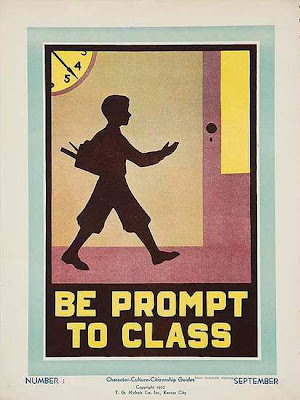 I haven't been able to find them all yet, but I have found Character-Culture-Citizenship Guides 1 - Be Prompt to Class. I'll continue to hunt for the rest and share them as I find them. A while back, I became obsessed with multi-colored pendant lights and it was with the help of Retro Renovation that I figured out the lights I was obsessed with were Moe Light Fiesta and Honeycomb lights. 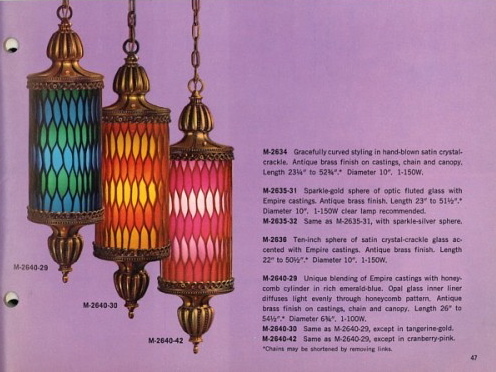 And now Pam at Retro Renovation has found a Moe Light catalogue and she's nice enough to share. 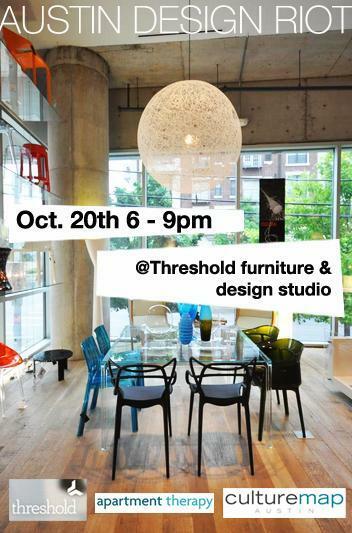 And you should check it out if you like mid-century lighting at all. I'm still thinking a pair of these will look great over the old formal dining room/new informal playroom. But I have to be lucky enough to find a pair, or even one. I mentioned what plants I plan to use when we re-do the landscaping for our mid-century ranch, but I forgot to mention the outstanding resources I used to find them. 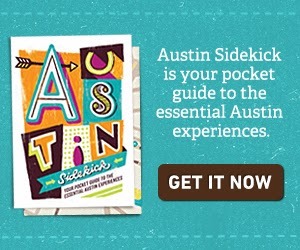 If you're in Austin, the city has a great Grow Green site that will help you pick plants that use less water and chemicals. 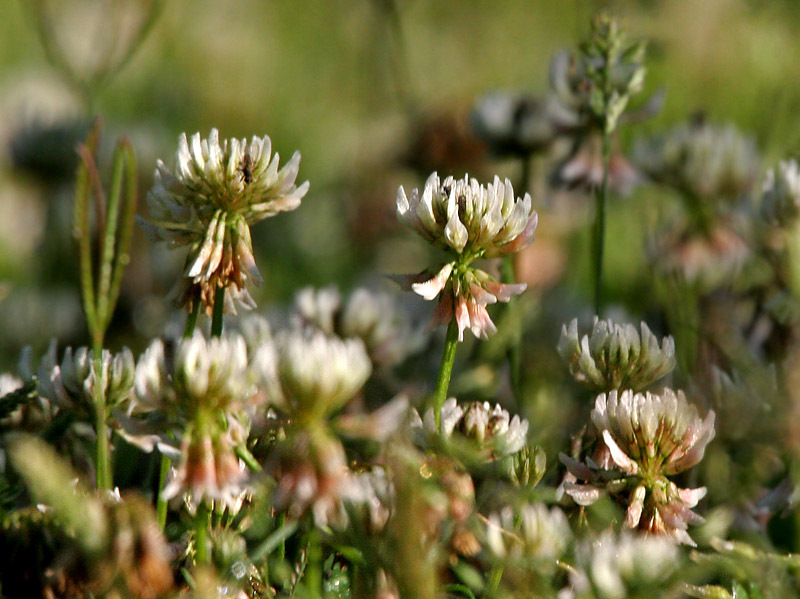 And no matter where you live, the Lady Bird Johnson Wildflower Center has a recommended species page that can help you find native species for your state. They're pretty great tools for finding native and adaptive plants for your next GRACEful and authentic mid-century landscaping project. 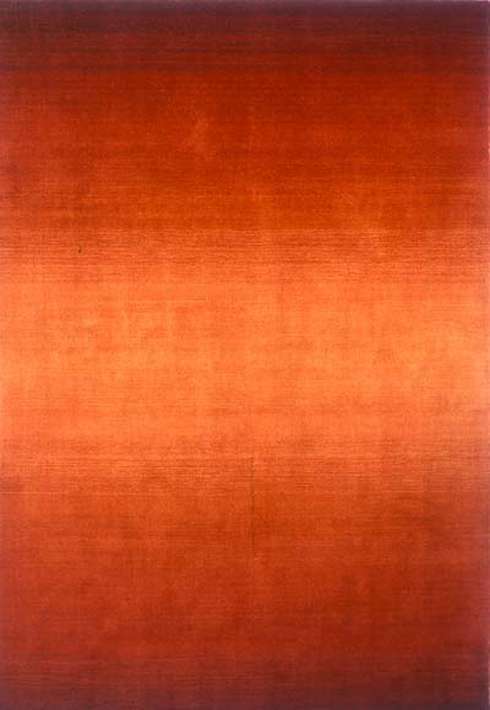 I think it's the perfect rug for a mid-century modern home, and I'm pretty picky about rugs. It's a nice splash of color without being over the top. 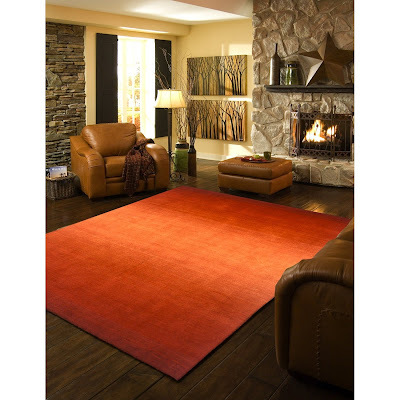 And it goes well with the rug in our living room, which is good because you can see the living room from the play room. Like all painting jobs, it took longer than I thought it would and it took more coats of paint than I thought it would, but the guest bedroom closet is no longer pink. That's one more item off of our to-do list. Melissa left me a question in the comments of an old post. I have acquired a Broyhill Sculptra hutch and a Lenoir Chair Company dining set but have not been able to find any sources online that tell me about them? Do you know of any good sources? Thanks so much! 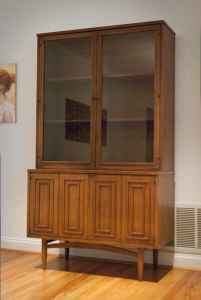 My first guess is that by hutch you mean Broyhill Sculptra china cabinet, although Broyhill did make a Sculptra room divider that I've seen called a hutch from time to time. The first place I'd start reading about mid-century Broyhill Sculptra furniture is right here. I also have a post on the history of Broyhill Sculptra. If you want the super long version of the history of Broyhill furniture, this is the best source I've found. If you want the Cliffs Notes version: Broyhill Sculptra furniture was made for eight years, 1957 to 1965, and is part of Broyhill's Premier line, which is why, if your piece still has the tag, it probably reads Broyhill Premier Sculptra. And this is where your two pieces share a bit of history. Thomas H. (T.H.) Broyhill made his initial investment in furniture manufacturing in 1905 in Lenoir, North Carolina. In 1919, T.H. Broyhill became the majority owner of Lenoir Furniture Corporation, manufacturing bedroom and dining room furniture. 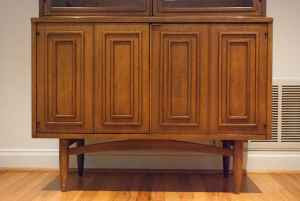 Broyhill Furniture continued to grow through the early years of the 20th century. In 1926, James Edgar (J.E.) Broyhill, T.H. Broyhill's brother, established Lenoir Chair Company. 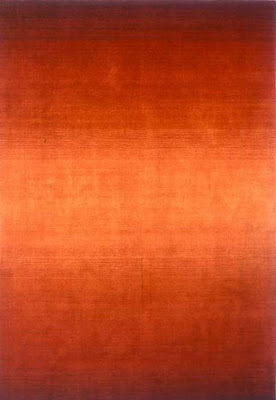 This expanded the company's product line into upholstery. Also, the production of the Broyhill Premier line was handled at the Lenoir Chair Company plant. So, if you read the long version of the Broyhill history I linked to above, you'll also get the history of the Lenoir Chair Company. I'm a house nerd, but I'm also a city nerd. (Well, I'm a lot of kinds of nerd, but for the shortness of this post I'm only going to list four.) So I'm really looking forward to Urbanized. Dave Perillo's art would fit perfectly in any mid-century home. It helps if you're a nerd because he uses a lot of pop culture references. But he also does commissions and super cute family portraits like the one above. They're be perfect for any modern mantel, or maybe a holiday card. Being accepted to the City of Austin Lawn Remodel program got me thinking about the yard again, specifically our flower beds. I want to make sure they have GRACE as well. 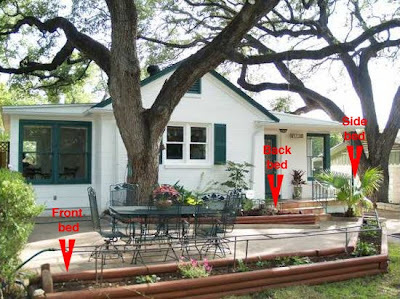 We have three beds in front of our mid-century ranch home: front, back and side. Because of the record-breaking heat we've had in Austin this summer, everything in the front bed is dead, most things in the back bed (except the giant tree) are dead and the palm in the side bed is on its last legs. We'll do our best to save the palm, but its too big for that space so we're planning on moving it either way. In the back flower bed, Blackfoot Daisies (native) to go with the white of the house. I also plan on redoing the woodwork and the sprinkler system (the pipes you see in the photo above), but one thing at a time. Today's post is more of a public service announcement: Know what's going on in your city, and know what incentives your city is offering. For example, we just got accepted to the city of Austin's Landscape Conversion Incentive: Lawn Remodel Option. Long government web page short, when we replace our dead grass, the city of Austin will help supplement the cost if we replace it with drought-sensitive or Texas-native grass, which goes along perfectly with landscaping with GRACE.